[172677.793897] cdc_acm 2-1.4.4:1.0: This device cannot do calls on its own. It is not a modem. 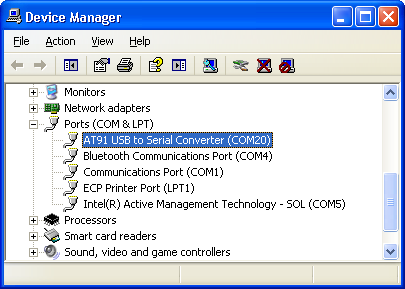 idVendor=03eb, idProduct=6124: from this message you can see it's Microchip board USB connection. To see the detail of PMECC parameters, you can choose the PMECC configuration action, then press Execute button. For SAMA5D3x-EK and SAMA5D3 Xplained board, since the default PMECC error correction bits is selected 4bits, so Number of ECC bits required should be selected to 4, and Ecc offset should be set to 36 in the below. 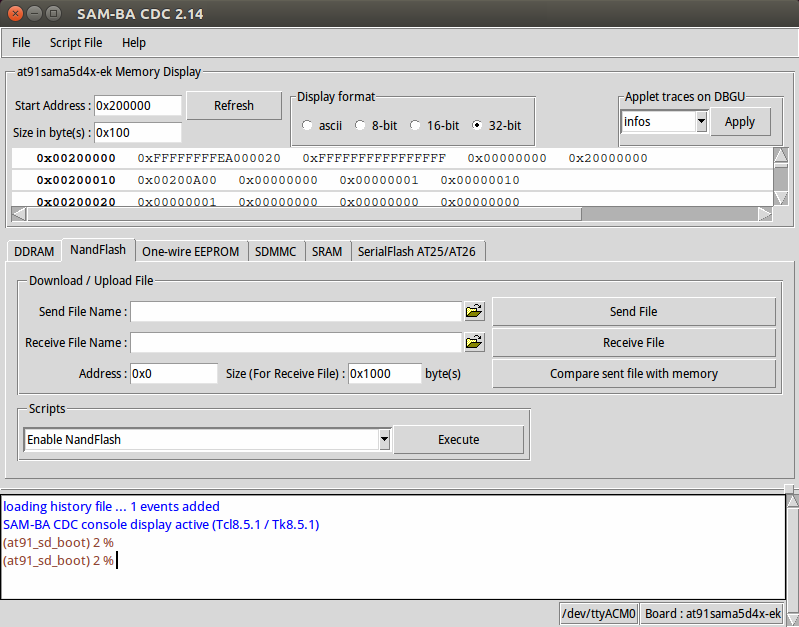 For SAMA5D4EK or SAMA5D4 Xplained board, since the default PMECC error correction bits is selected 8bits, so Number of ECC bits required should be selected to 8, and Ecc offset should be set to 120 in the below. Click Send File button to program the binary to the NandFlash in address 0x40000. 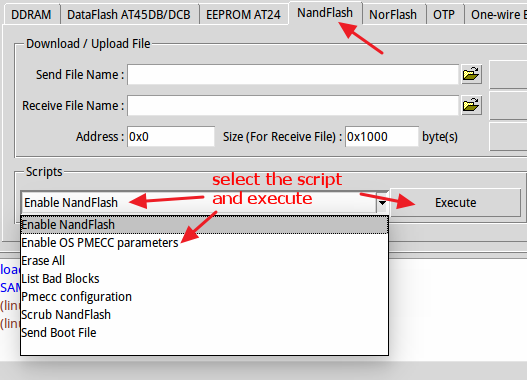 Click Send File button to program the binary to the NandFlash in address 0x180000. 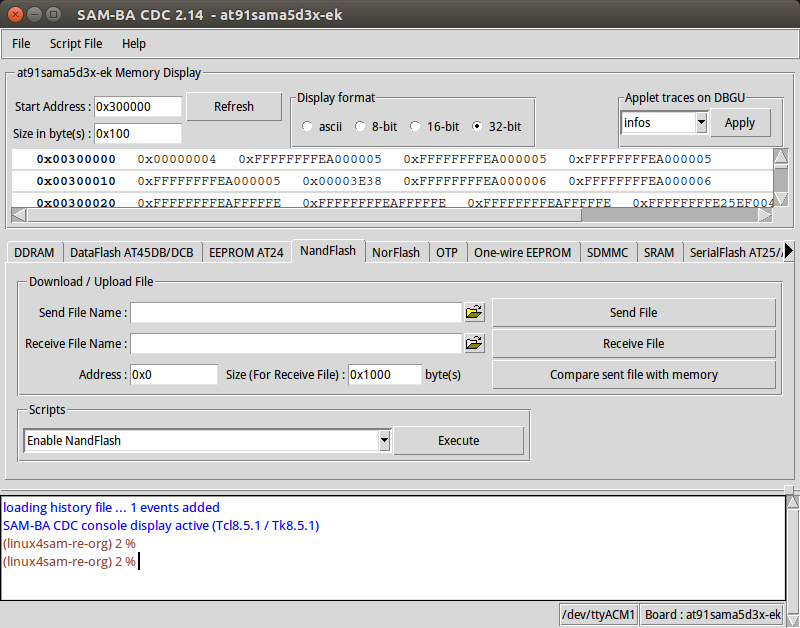 Click Send File button to program the binary to the NandFlash in address 0x200000. 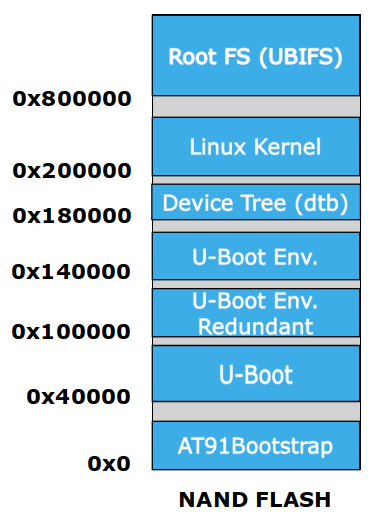 Make sure you erased the nand area (0x800000~END of nand) before you program it. 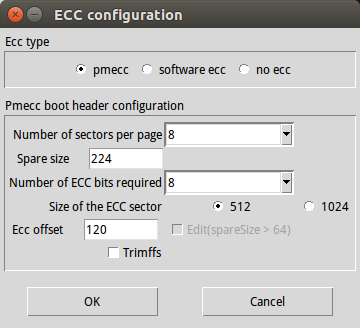 Enable the trimffs option by choosing the PMECC configuration action, then press Execute button. Then select Trimffs option and click "OK" button. Click Send File button to program the binary to the NandFlash in address 0x800000.